I would argue that mistakes are made at three levels: market selection, market planning, and site selection. All three are critical to the success of a chain store real estate program and the types of mistakes that cause pain and death are different for each. Let’s keep it simple by identifying one big mistake for each level. Mistake #1: When selecting a new market to enter, underestimate the power of a competitor who dominates the market. It is well-known that chains with dominant market share will outperform all other competitors by a wide margin based on brand awareness and economies of scale. However, some markets are more fragmented than others, and those without a dominant player will provide new entrants with higher average unit volumes. Every chain wants to enter all markets eventually, but why not start with the ones that offer the best chance of profitability! Mistake #2: When allocating store development resources across markets, diversify the capital investment by distributing capital and people across many markets rather than a few. Regardless of the size or success of a chain, resources are always scarce. In addition to opening new stores there is the constant need to remodel, relocate, renegotiate leases, and close under-performing units. Each market has a unique profile of economic strength, overbuilding, and competition, and each chain has a unique presence in the markets, whether its “new,” “expanding,” “mature,” or “declining.” Some capital allocation decisions are based on preserving market share to avoid irreversible decline. 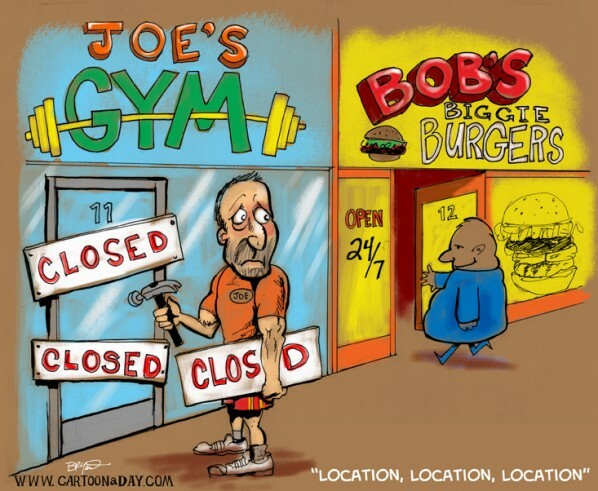 Others are highly opportunistic based on a hot franchisee or a competitor exiting the market. After reacting to these requirements, any remaining resources should be allocated to the markets that will provide a balance of short-term, intermediate-term, and long-term growth. The specific game plan for a market will be based on a set of actions that will realistically move the chain’s position forward in that market. In some cases it might be adding a couple of stores, in another it could be closing two and remodeling two. The key is to find the “sweet spot” that will provide the highest return on capital (human and financial) over an appropriate time horizon. Mistake #3: When selecting among several specific sites, trade-off site quality for lower rent. Everyone loves a great deal, especially retailers. However, nothing will kill a store faster than a site that has poor visibility, access, or parking. This mistake is usually made in excellent trade areas with limited availability of sites. The real estate team (including the investment committee) wants to be in this part of the market SO BAD that they allow their powers of rationalization to overcome their common sense. “Once they know we’re here they will be willing to make the extra effort to get to the store,” is a favorite line. “The left turn is really only a problem at rush hour,” might be another one. “There’s shared parking with the Wal-mart only a few hundred feet away” might be the kiss of death for another site. And then the killer: “The rent is low enough that we can break even at 50% of our average unit volume!” Paying too much rent is a problem. But not paying enough rent can be even worse. This entry was posted in Decision Making and tagged Investment, market optimization, market planning, market selection, omnichannel, real estate, real estate planning, site selection by Jim Stone. Bookmark the permalink.